The reverse, designed by Leslie Durbin, shows the Thistle and royal diadem representing Scotland. The design was used in 1984 and 1989. 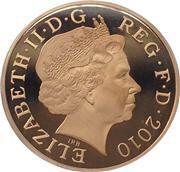 The Obverse shows the portrait of Queen Elizabeth II by Arnold Machin. Images are supplied by UKCoinCo. 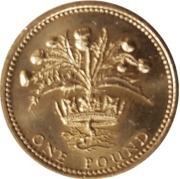 If you are interested in buying a 1984 One Pound Coin - Thistle then visit http://ukcoinco.com/product/1984-one-pound-coin/. UKCoinCo also purchase coins and coin sets. Mintage: 146,256,501 (may include coins issued as part of a set). Minted at The Royal Mint. Monarch is Queen Elizabeth II. Prime Minister is Margaret Thatcher (Conservative). US President is Ronald Reagan. Year of the Miners strike. Nissan to build cards in Britain. First Virgin Atlantic flight. The Brighton hotel bombing. Chancellor Nigel Lawson announces the halfpenny will be demonetised and withdrawn from circulation. The Olympics are in Los Angeles, USA. Winter Olympics in Sarajevo, Yugoslavia, where Torvill and Dean win gold. Band Aid's "Do They Know It's Christmas?" gets Christmas number one. 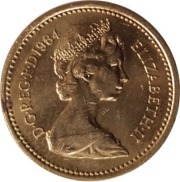 The 1984 One Pound Coin - Thistle (a British one pound (£1) coin) is a denomination of the pound sterling. Its obverse bears the Latin engraving "Dei Gratia Regina" meaning, "By the grace of God, Queen" and FD meaning "Defender of the Faith."